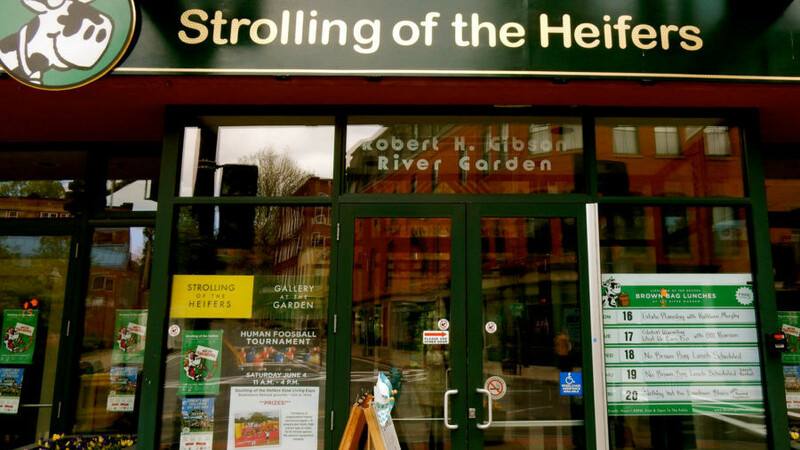 WHY GO: How can you resist a town that decided to counter Spain’s Running of the Bulls with its own chill, groovy, Vermont take: “Strolling of the Heifers?” Brattleboro VT is just the sort of fun-poking place ripe for exploring. Though it draws thousands of visitors one weekend a year for this strolling bovine event, most people come to Brattleboro at other times for the beer – there are three brewhouses in town, each with its own focus and specialty – as well as for its one premium liqueur distillery, a phenomenal cheese emporium, restaurants, and unique craft shops and studios. For lodging, we chose a revived inn, once hot, then not, now heating up again, about 10 miles away in Newfane. 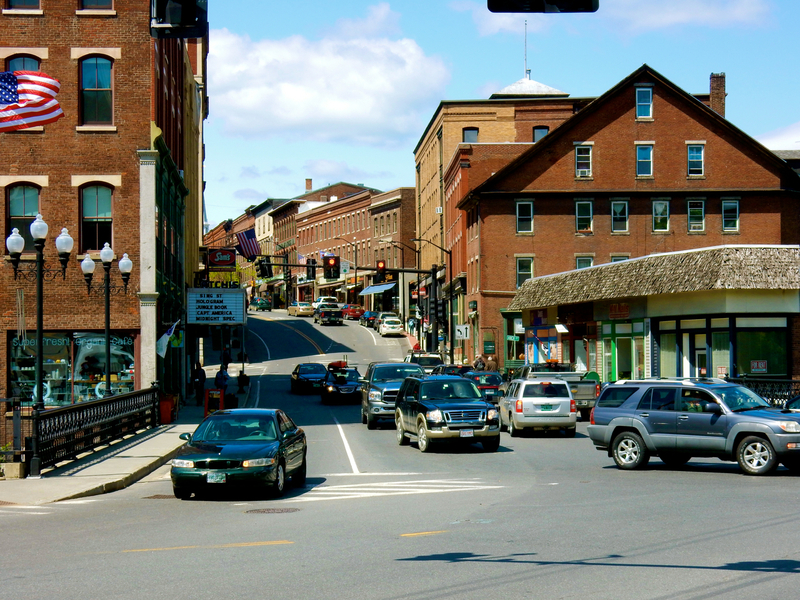 Want to hit the hot spots in Brattleboro VT? Read on. TASTE: Putney Mountain Winery, Putney. Located in the very touristy Basketville about 12 miles north of Brattleboro (how can you miss those billboards on I-91? 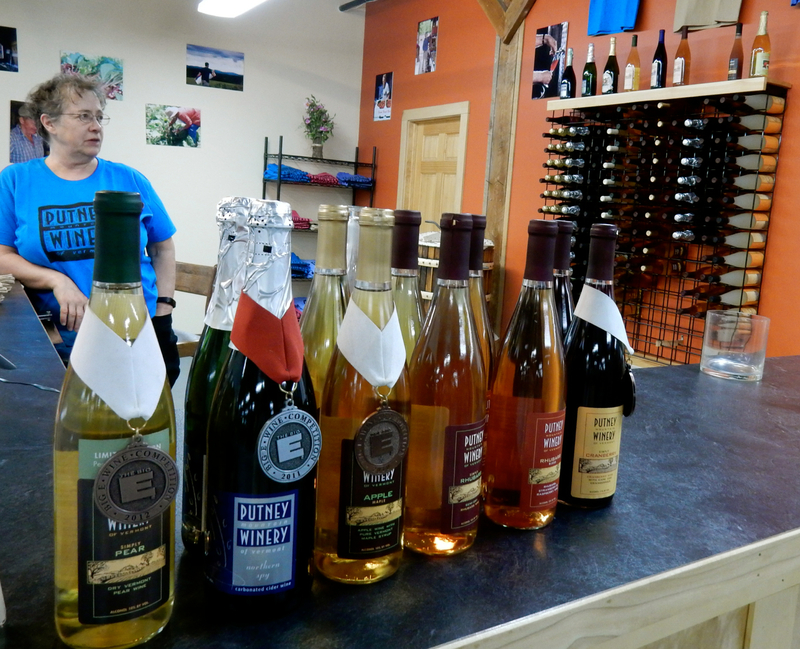 ), you’ll find the Putney Mountain Winery, owned by local couple Kate and Charles Dodge. Sure, you can go nuts buying baskets of every sort, but walk to the rear of this massive store and try some decent dessert wines and liqueurs. My favorite – the Black Currant Vermont Cassis ($20.49), a tasty concentration of anti-oxidant berries – though the Simply Ginger ($32) is gaining popularity. It’s all made in the back room: incredibly, a Mom and Pop operation inside a tourist spot. 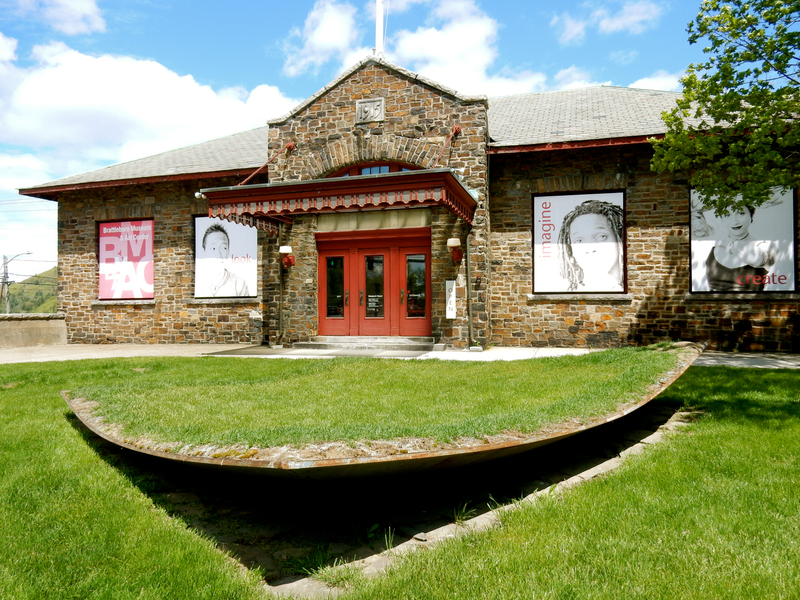 VISIT: Brattleboro Museum and Art Center. You’ll find something new each time you come to this non-collecting contemporary art museum within a repurposed train station. BMAC displays art of all kinds; fine, video, performance – as it pertains to contemporary art – and promotes artists on the fringes as well. Outsider, visionary, and “artists on the autism spectrum” are all featured here. Exhibits change three or four times a year, so there’s always something new to see. Open Wed. – Mon 11-5. $8 adults, youth 18 and under free. TASTE: Saxtons River Distillery. You’ll find this tiny craft distillery out on Rt. 30 (near Grafton Cheese, below). 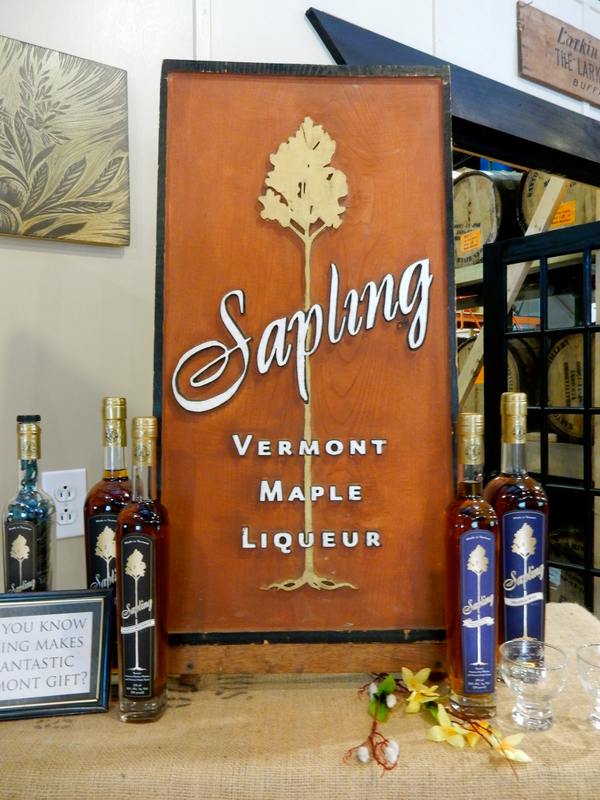 Founder Christian Stomgberg began making spirits at home in 2006, and now sells both Sapling – a Maple Liqueur – and Perc, a coffee Liqueur, along with other spirits, from this non-descript roadside place. Stop in for a sample, and you’ll most likely walk out with a few bottles. SHOP: Fire Arts Vermont. This gallery shares the roadside building with Saxton’s River Distillery, but is not associated with it. 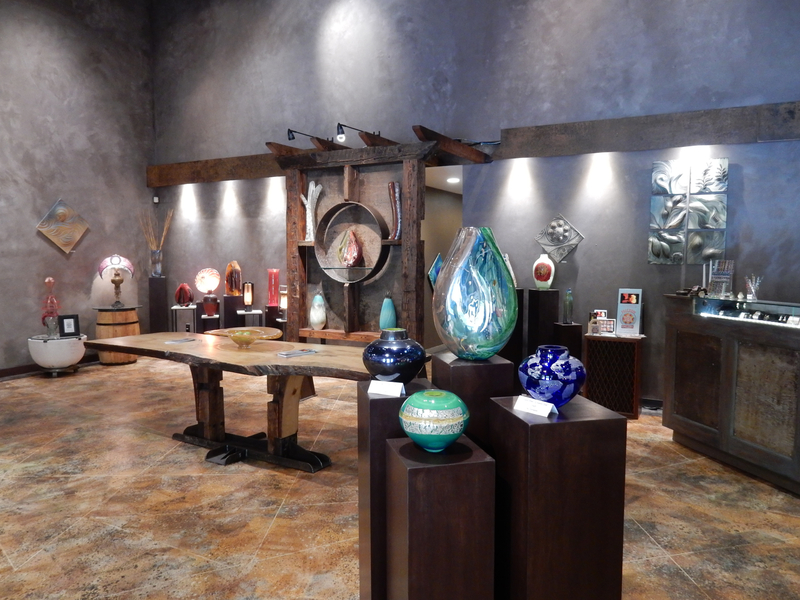 Even if you can’t afford the glass or ceramic art (both made in on-site studios), stop in to see this striking, Instagram-worthy showroom. SHOP/PROVISION: Grafton Village Cheese Shop. Also on Route 30, this cheesery is less about the cheese-making process (i.e. Cabot) and more about the cheese eating process. 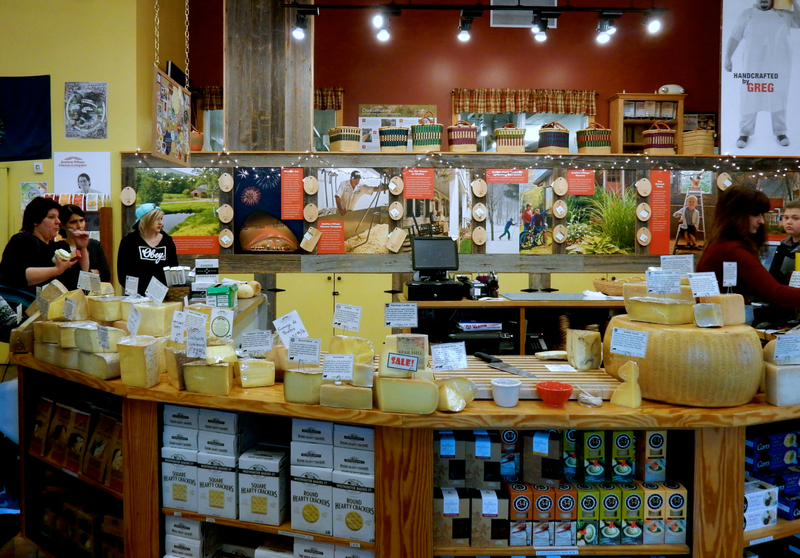 You can buy a cornucopia of Grafton cheeses, as well as other Vermont cheeses, jams, breads, chips, crackers and smoked meats. It’s the perfect place to provision for a romantic picnic. 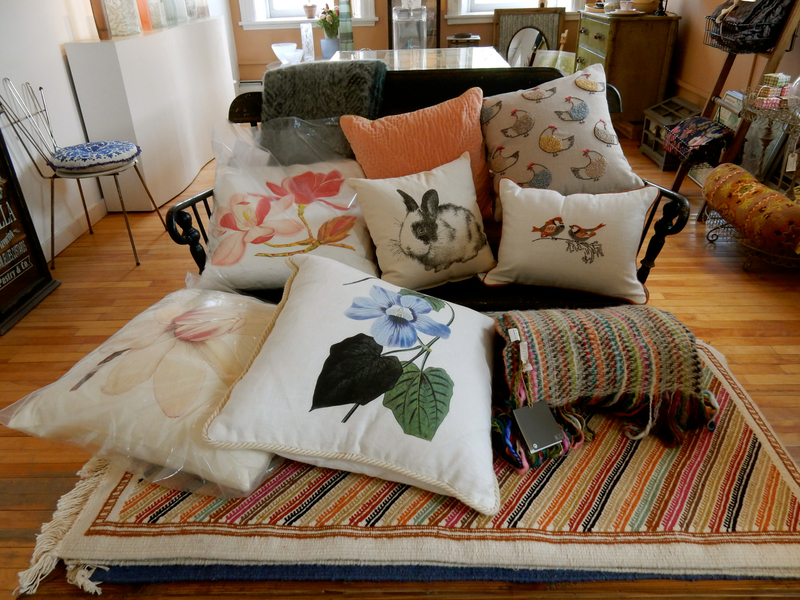 SHOP: Penelope Wurr. Though famous for her glass vases and bowls, Wurr specializes in artful things UK. Homegoods, gifts, accessories, books – she’s all about contemporary European style, with a distinctive British accent. SHOP: Ruggles and Hunt: Quirky stuff for all ages, this store (with a sister store in Walpole NH) considers itself “Purveyors of Staple and Fancy Goods.” You’ll find unusual housewares, garb, and the largest collection of Laura Zindel’s hand-illustrated ceramics (an Oprah fave). SHOP: Gallery in the Woods. 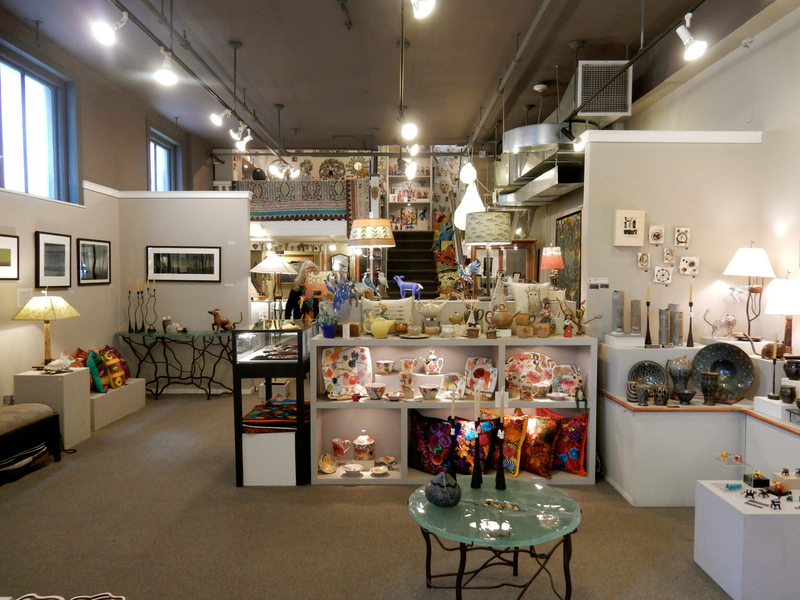 Three floors of hand-made crafts from all over (56 New England artists), you really won’t know what to ogle first. It’s a kaleidoscope of a shop, with lots of things you won’t find anywhere else. 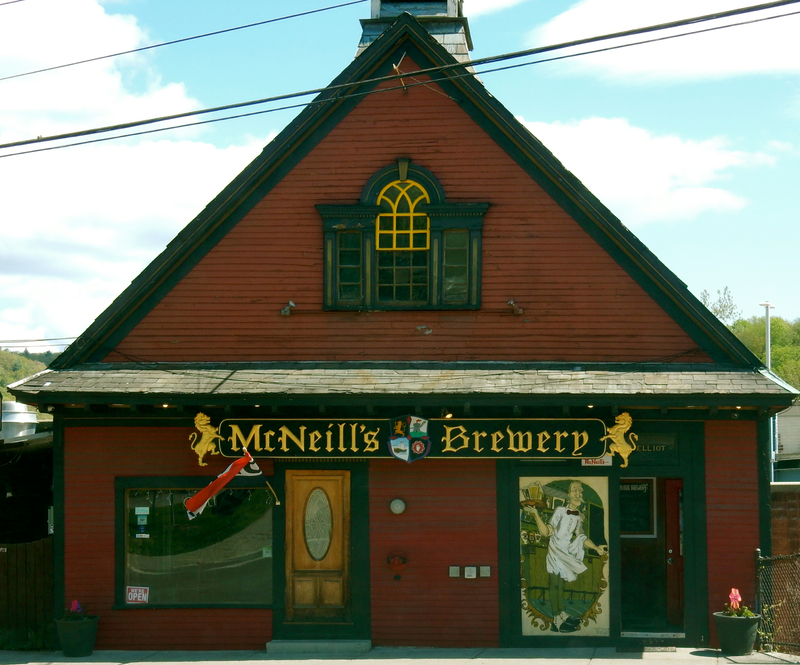 BREWERIES: There are three nano brewpubs in Brattleboro; the Connecticut River-set Whetstone Station, with a growing reputation outside of Vermont, where it’s nearly impossible to score a table on a Sunday afternoon, Hermit Thrush (the State Bird) with a focus on Belgian sours, and McNeills, one of the oldest breweries in Vermont, with a concentration on German and English brews. EAT/DRINK: Whetstone Station. 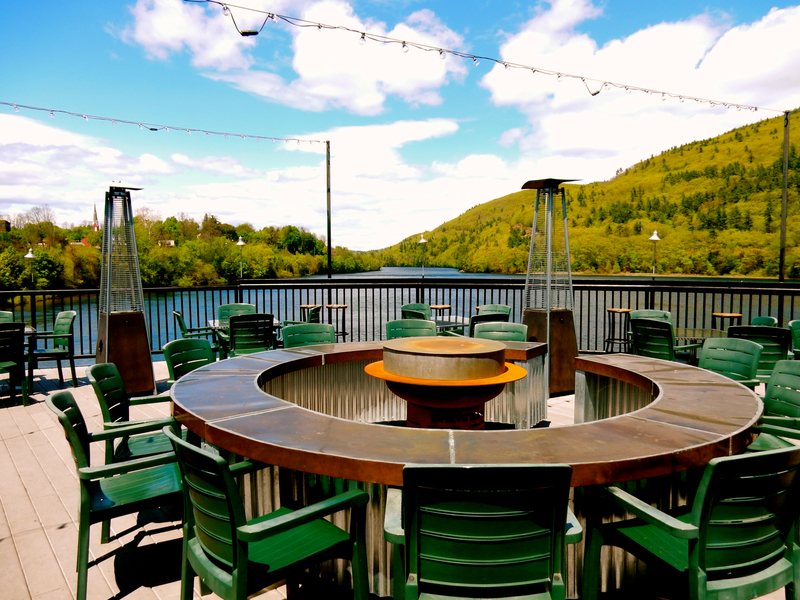 River views, arched-steel bridge views, and brews; what could be better on a temperate eve? Decent burgers, pulled pork and other elevated pub-grub round out a great experience and more reasons it’s always so crowded at all times. EAT: Locals recommend Three Stones for authentic Mexican food from the Yucatan, and T.J. Buckleys and Peter Haven’s for New American. 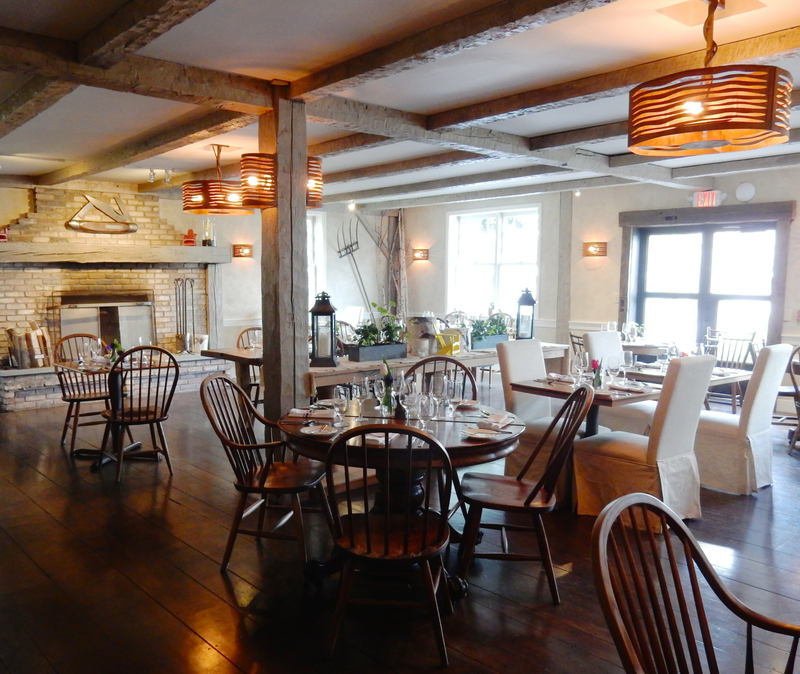 EAT: Artisan at Four Columns Inn, Newfane. Head 15 minutes out of town for one of the best meals in the area. Dishes are inventive, lovely to look at and yes, amazingly good. Chicken Liver Mousse made with Citizen Hard Cider ($12) melts on the tongue and is so addictive, you hardly need the piles of toast that comes with it. Though you can’t go wrong with Artisan’s dining menu, the lower priced Tavern Menu has its merits – specifically the Crispy Oriental Chicken in Sweet and Sour Sauce ($13) a MUCH preferred tweak on the original and the perfect snack food. And don’t pass up those Truffle Fries ($6) – a fistful of crispy potato wedges. STAY: Four Columns Inn, Newfane. 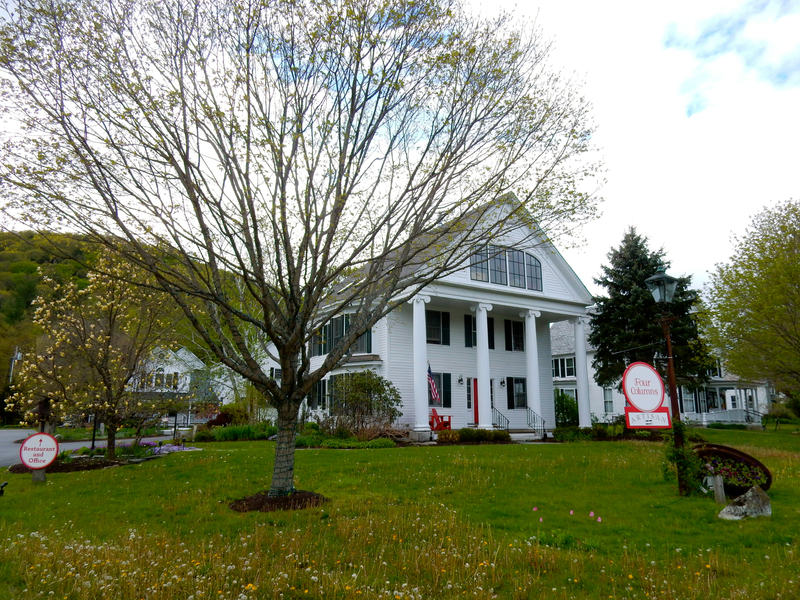 This iconic, whitewashed 16-room “Country Inn,” a dozen miles from Brattleboro, was shuttered in 2013 and reopened, afresh, in mid 2015. Once enchanting enough for the likes of Mick Jagger (who stayed over for his 40th birthday), it had fallen off its imperial pedestal, and was purchased by Greenwich Hospitality Group, which gave it new life. A Maven Favorite – the Inn has its own post HERE. STAY: No room at Four Columns? 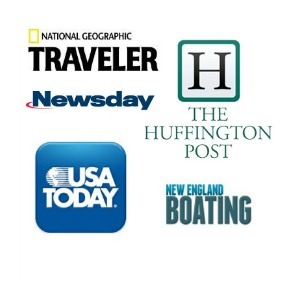 Visitors also rave about Forty Putney Road B&B in Brattleboro. 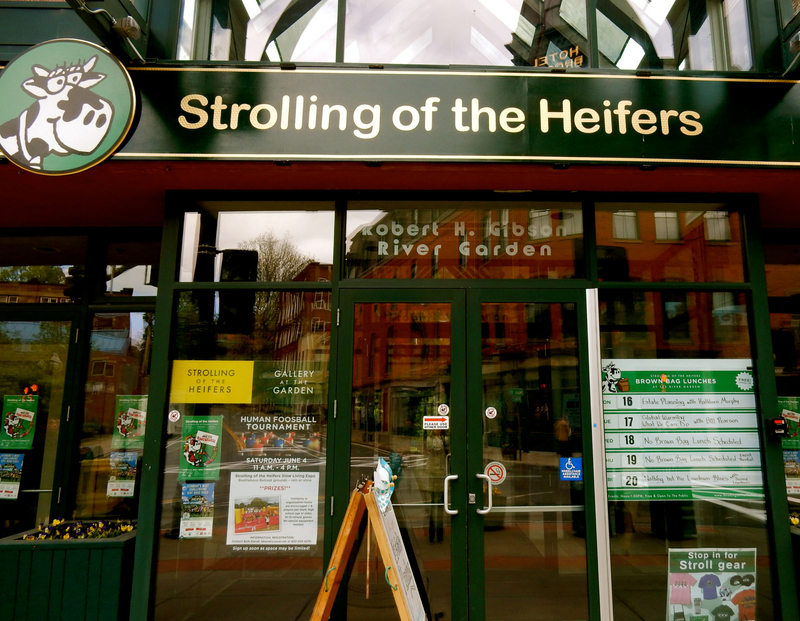 Strolling of the heifers – love it. This town looks pretty cool, thanks for the detailed article and putting it on our radar. Gotta love any place so dedicated to beer.